This Crafting Life: Reader Shared Freebie!!! Ben and Jerry's Free Cone Day!!! Reader Shared Freebie!!! Ben and Jerry's Free Cone Day!!! 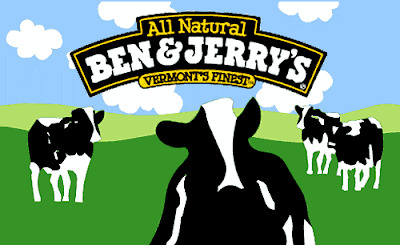 April 3, 2012 from 12-8 pm, stop by any Ben & Jerry's location and get a free cone! Which one to choose? Are you a Chunky Monkey fan, or more of a Cake Batter or Chocolate Therapy? My personal favorite is the Coffee Heath Bar Crunch... yumm. Now, if only I had a Ben & Jerry's where I lived... I'd totally be there. Go live it up for me, would you? Click here for more information on Free Cone Day!